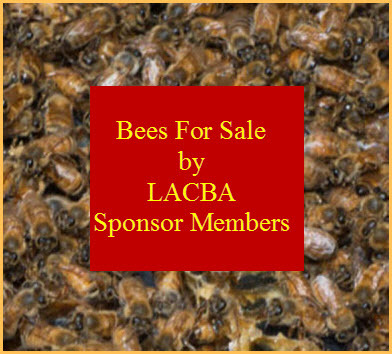 Become a Member of the Los Angeles County Beekeepers Association! The LACBA prefers you pay online. If you are unable to pay online, you can complete the Membership Form and pay at LACBA Monthly Meetings. There is NOT a downloadable Membership Form on the website. LACBA Members who would like to volunteer for the upcoming LA Zoo Spring Fling, can Sign Up here. LACBA Beekeeping Class 101 is available on a per class basis for a suggested donation of $20/class (per household) or an entire season (8 classes) for $100 (per household). The February and March classes are free. You will need to be a current LACBA member to take class. 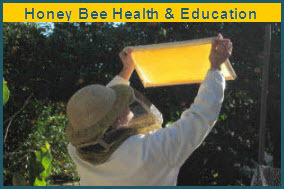 Please refer to our Beekeeping Class 101 page for the Schedule of Classes. Please complete the Beekeeping Class Sign Up Form which appears once you select your classes and ADD TO CART. Be sure to indicate on the form how many people will be attending class. Once your class has been added to the cart, you must go to the cart and check out. IF YOU DO NOT COMPLETE THE CART CHECK OUT PROCESS, YOU WILL NOT BE REGISTERED FOR THE CLASS. Once you check out in the cart, you will receive a confirmation e-mail. For additional information and the Class Schedule, please refer to our LACBA Beekeeping Class 101 page. If you have other questions not addressed on this page or the LACBA Beekeeping Class 101 page, please contact: lacba.membership@gmail.com. Registration: REGISTRATION IS REQUIRED FOR ALL CLASSES! Registration must be completed by the Thursday before the class to give us time to compile the class roster and send out location and details need for the class. Where: The Valley Hive (2 locations: Apiary and Store). The Class Schedule will indicate which location for each class. When: 2nd Sunday of the month beginning February 10, 2019. Season: consists of 8 classes: February, March, April, May, June, July, August, October. There are no classes in January, September, November or December. Educational Classes: The 1st and 2nd class (February 10th & March 10th) are educational classes NOT ‘hand’s on’ classes. (We don’t open the beehives.) No bee suit required for these first 2 classes. Important: Make sure you indicate on the Beekeeping Class 101 Form how many household members will be attending class. Reminders: You will receive an email reminder approximately 24 hours prior to class with location and details needed for class.